"Multiple ways to save energy in existing buildings"
1. Assemble the group / occupants that are impacting usage (anyone who affects consumption). Share the knowledge / data collected in Steps 1 & 2. Each person discusses how they can contribute to saving grid-based electricity. Capture / update these action items in the (group) Entity / E-Profile where kWh date was calculated. Use text field and add a date as the header / title. 2. At this point - NO new equipment is to be installed. These are the "freebies" that just require common sense. A list of basic practices are noted below to stimulate conversation. Copy / Paste / Use as an initial check list to get started. 3. Set reasonable targets (kWh% reduction) based on the level of commitment from the group, time of year, climate, special events such as vacations, trips, etc. 4. Periodically (weekly / monthly / quarterly / seasonally) discuss progress and new data. Adjust actions. Rationalize results. Set new targets. Update Entity / E-Profiles (date sequence new to old text). Celebrate success both within your group, and externally! Spread the word! If you can do it, so can neighbors. These efforts benefit everyone, everywhere. REMEMBER: Tracking expenses is important to most of us but the focus in this program is unit of measure (kWh / time period). Cost is based on rates which change, often on an annual basis. Lowering Kilowatt Hours is the true usage and the target is always to reduce grid-based electrical consumption especially when coal is the original source of energy. If you are lucky enough to have hydro-based power, it is still important to reduce usage as population and the need for (local) power increases. B) INTRODUCTION - FOOD FOR THOUGHT BEFORE GETTING STARTED - MATTERS FOR YOUR BRAIN! The low hanging fruit of energy conservation, the slow fat rabbits! You get the idea. Homes / occupants are unique. Building design, age, square footage, orientation, location, elevation, lot size, garden, trees, and # / ages of residents generate the need for unique solutions requiring thought, communications, and commitment to new ideas. Home is one of the most important places in our lives. A place to recharge the batteries and prepare to deal with the next days' challenges. 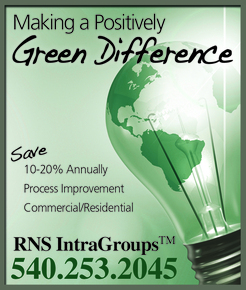 Sustainable living concepts improve the quality of this experience. If there is more than one occupant, there is usually more than one opinion on finite energy conservation. To some it matters, to others it does not. It is a question of awareness, knowledge and understanding of the complex world we live in today, such as, where does our power really come from and how is it generated? Conversely, sole occupants may have a difficult time seeing the forest for the trees. That is why we recommend working with others to discuss alternatives and people-network with friends using our online private ECom 1-1 communications. A problem shared is a problem solved. This proven simple process makes change more fun, effective, and with increased results. It takes minimal effort to start and generates immediate dollar savings, improves the quality of our daily lives, and helps each of us to be a part of the solution, and make a real difference in the grand scheme of things in our world today. Remember: "Teamwork" is very effective and increases the quality and quantity of results. Start a small online network via IntraGroups. The more participants the better. Before reducing finite energy consumption must remind ourselves of current / past usage (Step 2). This helps us to make future projections. This is a journey, not a one-time event. ENJOY! - It is worth the effort! Note: 78 / 68 are general guidelines. With adequate inside humidity in the winter (turnoff in summer) some of us feel comfortable at 64 with appropriate clothing. We know of a few hardy souls in Virginia who are happy at under 60 degree settings in winter! In summer it is quite easy to get used to 80 (less clothing of course). Be European - convert to centigrade. Dressing to be cool allows the thermostat to be set a few degrees higher - swimsuits allowed! Install low-flow showerheads and faucet aerators and reduce water consumption by up to 50%. This combination of lights gives the appearance of occupants being home even if they are not. Motion sensors cause a light to go on which may discourage potential intruders. Solar powered lights can be mounted on exterior walls or posts to increase illumination. They are inexpensive and use NO grid-based electricity. They are lit during the evening and may fade out during the night when most of us are asleep. Dead giveaway that residents are away from home? Exterior lights on during the day! As we started this E-Profile and Process, so it ends. Sustainable living and finite energy consumption require use of our brains, with a little bit of light (pun - dry English humor)labor! Coal-fired power plants generate 40% of Americas' annual CO2 emissions. Do you know where and how your electricity supply is generated? "Clean coal" is unproven and if it works will be very expensive and the costs will be passed on to the consumers in increased rates. Each power plant location will probably have local unique requirements for CO2 disposal, if not, solid CO2 transportation to disposal sites uses more energy. Did you know that from when the coal is originally removed from the ground, through power generation, grid transmission, sub-stations and use by each of us, there is a 75% loss of energy? Not a number that utility companies agree with, or share with the public. If the current concepts of power generation are updated and replaced, 3 out of 4 power plants could be closed within 5 years! Nuclear powered plants also have disposal and safety issues. In addition, when they were designed, some designers and engineers forgot about adequate water supply for cooling purposes. In France many reactors were closed down during summer droughts a few years ago. Nuclear reactors are designed for perpetual operation so other than the loss of power when everyone needs it, safety issues increase when shutdowns and restarts occur. SHARE THOUGHTS AND IDEAS VIA NEW ENTITIES - YOU CAN HAVE MORE THAN ONE for different SUBJECT MATTER, points of view, etc. © Copyright RNS IntraGroups™ All Rights Reserved.